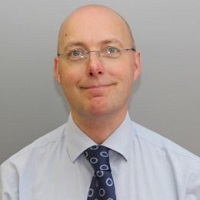 Peter is a Senior Lecturer in Applied Biological, he joined City University in 1995. He teaches biology to Health students, with an interest in Genetics and Immunology. Prior to joining the University Peter worked at The St Bartholomew School of Nursing, which then incorporated into City University. Peter qualified as an Adult Nurse in 1983 and worked in a variety of clinical settings, specialising in Critical Care, after working as a Charge Nurse and then after completing his Biology degree he went into Nurse education in 1992. Before working at City University he previously worked at Riverside College of Health Studies. Peter has run a wide range of modules and was Programme Director for the Adult Branch Diploma Nursing students for 4 years. As well as teaching biology Peter also supports students in clinical practice with regular visits to placements in Hackney and Edmonton. Cox, C.L., Whiteing, N. and Bentley, P. (2011). Patient Reported Outcome Measures in Ophthalmology. International Journal of Ophthalmic Practice, 1(2), pp. 28–34. Peter supervises undergraduate dissertations across a range of topics which have included Genetics, Infection control and other related topics. Dyscalculia and Dyslexia in Nursing. Loughborough University (2007). Numeracy in Nursing. Loughborough University (2006).